Methode Brigitte Kettner (MBK) is a German cosmetics company with its own research and development department. It develops care products and nutritional supplements for the treatment of skin, hair, and weight issues. The products and treatment concepts are based on highly effective and natural active ingredients, combined with the latest findings in microbiology, and proven formulae from traditional Chinese medicine. Methode Brigitte Kettner products deliver individual solutions for any skin type and any skin problem and are the ideal companion on the road to healthy skin. In 1973, MBK founder Brigitte Kettner opened a beauty farm in Luxembourg. Satisfied, loyal customers, and the high standards set by her company’s philosophy convinced Brigitte Kettner to take the next step. 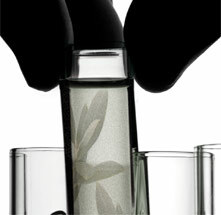 The passionate cosmetics expert believes that conventional treatments and cosmetic products can be better. She conducts cosmetics research in her own in-house laboratories. The results then flow into Brigitte Kettner’s own treatment methods and precisely coordinated care products. Serial production of her first product line, the MBK Classic Line, started in 1987. This was also when today’s company was founded in Bergisch Gladbach near Cologne. Since 1989, Methode Brigitte Kettner has been exporting its products to Asia. After a successful launch in Taiwan, Singapore, Malaysia, and China followed. MBK is also active in Europe and now distributes its products not only in Germany, but also in Austria, Switzerland, the Benelux countries, Great Britain, Poland, the Czech Republic, and Latvia. In the three German-speaking countries alone, there have long been more than 200 authorized MBK cosmetics institutes; there are more than 400 worldwide.